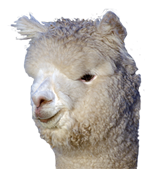 Ambersun Alpacas has a selection of breeding females for sale. These range in quality and price to suit, with starter packages which should appeal to the new breeder, through to a limited range of show quality alpacas. At Ambersun Alpacas we are able to offer a range of coloured females for you as well from the creamy light fawns into the rich browns. We have a significant herd of black females and a limited number of greys. Through our show successes across Australia most onlookers assume that we are a white breeder however over the last few years we have been steadily building a herd of beautiful coloured alpacas. This adds up to a total of some 1000+ alpacas of which approx 40% are coloured.